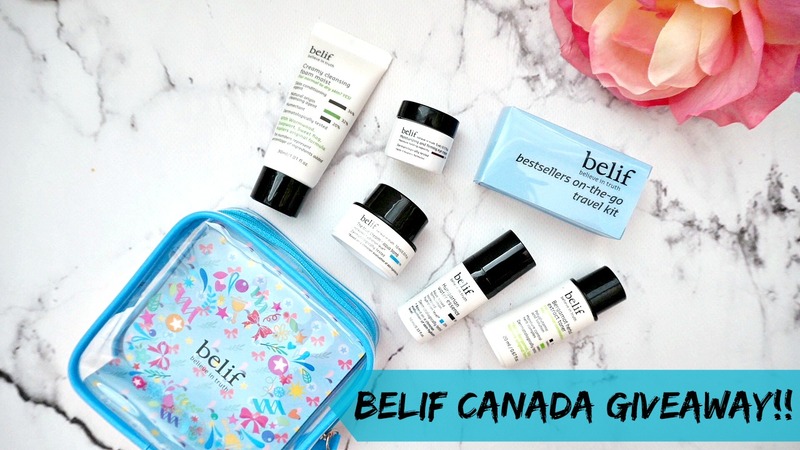 Hey Everybody - I am hosting a giveaway with Belif Canada and the prize is the skincare set that you see here in this post, also...GREAT NEWS!! there will be TWO WINNERS, so LOTS OF LOVE and Thanks to Belif Canada for hosting this giveaway! 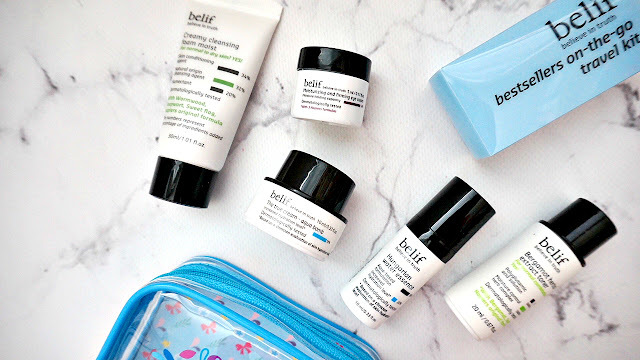 I have been reviewing and using Belif products for a while now, so if you're interested in reading my past posts, you can find them here. To enter, please see below and GOOD LUCK everyone! Giveaway is for Canadian Residents only (excluding residents of Quebec due to missing French labels). Prizes will be provided by Belif Canada and will be sent out to the winners by them. To ensure a quick turn-around time for this giveaway, **please make sure you are entering this contest via a Canadian address**. I am utilizing Rafflecopter to host this giveaway and winners and their location are automatically detected by Rafflecopter. If it shows that you are not a resident of Canada, you will automatically be disqualified. I will not be e-mailing you to confirm your location. Winners have 24 hours to respond to my e-mail or another winner will be selected. I enjoy trying new beauty products and I love that this are perfect for travelling/on-the-go. this set would be perfect to take with you - it has everything you need plus having it in a travel pouch means if there's any leaks you're safe! I've heard so many good reviews about this brand and products! I would love to try it myself! its so great! if you love korean skincare you'll love this, if you've never tried it before its a great introduction to it as well :) good luck! they have a great line of products and this would be a perfect introduction for you to their brand ! good luck! Id love to try this product because I've heard so many good reviews about it! they have great products for sure ! good luck! I love to win to try the products and take with me on my next trip. it's perfect to take with you because of the pouch! keeps everything safe and secure! goodluck! I have heard some wonderful things about these products and I would love to try them. Also it's the perfect size for my upcoming vacation. completely agree! this is a great introduction kit for you! goodluck! I'd love to try this product because I've heard so many good reviews about it! its a great line and you'll find something for sure to suit your needs! this would be a perfect introduction for you to their brand!! :) best of luck! At my old age, I feel I need to try out different products to make myself look and feel younger. Thank You for introducing me to Belif Skincare :) . aww don't say that! i'm sure you look fabulous :) this would be a great intro for you to the brand... they have an extensive line that addresses various skin concerns! p.s. cute profile pic! i love pusheen the cat! Thanks. I heard awesome things about these. I would love to give it a try! it's a great brand! i'm so honored to be one of their brand ambassadors ! make sure you stay tuned bc i'll be reviewing various products as the months go by! goodluck! I would like to win because I have heard about belif but have yet to try the products. I'd love to win because I'd love to try belif. I've heard so many great things about the brand, and everything in this to-go kit sounds like it would really help out my dry skin. I would love to win because I haven't tried this brand before and it sounds amazing! This is wonderful! I would love to win this to be able to have a good straight forward skincare routine, I could really use a new one that’s all one company and good products. I love toners. Eye creams and I especially love cleanser so this is a perfect giveaway for me! I’m very excited. My skin has been having issues due tic the hormonal affects caused from my brain tumour so maybe trying something different and trying a new skincare routine and following it daily can help my skin. This kit would be great for when I go to Florida. I would love to win this Kit as I have never tried it before and it's such a cute set. I would love to win because I like trying out new skincare routines, and I've never tried Belif products before. I would love to win this skin care set . I’ve tried a sample of their face cream and it worked amazing . My skin is so dry from the winter , could really use a hydration boost . I would love to try belif as I have read so many positive reviews about this brand. I am already a fan of belif and having their travel set would be ideal for getaways. I would like to try out their products.